Click on the audio links below to enjoy past broadcasts of our radio program, My Generation, aired on Sunday night, from 7-8:00 PM on WATD-FM 95.9, the South Shore’s radio station! 3.17.19 Maria Burke, RN, founder and owner of Celtic Angels, is our special guest on this St. Patrick’s Day show. 3.10.19 Brett Miller, founder of 110 Fitness, is our guest. Learn about the great work he is involved with for veterans on this show. Nicole Craven and Julie Quill. 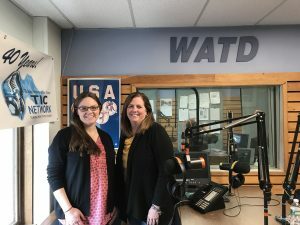 3.3.19 Julie Quill and Nicole Craven, founders of Sing, Explore, Create, discuss their music therapy, art-based therapeutic recreation, and arts education programs they bring to the towns and communities of the South Shore as well as from their Rockland, MA location. 2.24.19 Real estate professional Wendy Oleksiak offers advice for buying and selling in a hot market, including how to ready your home for a sales, the best time to list, and how to best navigate a bidding war. Give her a call at 781-267-0400. 2.17.19 AARP MA Communications Director, Cindy Campbell, was guest host for this show highlighting up-to-date information about community initiatives, legislative updates, and new scams to avoid. 2.10.17 Guest host, Elder Law Attorney Patrick Kelleher, discussed the topic of “gray divorces” with Financial Coach Scott Birmingham. 1.13.19 PBS star, author, and international stress management guru, Loretta LaRoche, and her musical partner, Kenny Wenzel, joined us for a lively hour of fun and advice for 2019. 1.6.19 Ed Perry, founder of WATD-FM, entertains and informs with fascinating and compelling stories about the founding of the South Shore’s radio station in 1977 and how he got “hooked” on radio at the age of seven. It’s a great show. For more about Ed Perry, please check out the January 2019 issue of the South Shore Senior News! 12.30.18 Professional wine consultant and educator, Missa Capozzo, joins us. Learn all about bubbly–from Champagne to Cava–and lots more on this entertaining and informative show to close out 2018! Cheers! 12.23.18 Christina Sporer, Director of Marketing for Grove Manor Estates, Braintree, is our guest. 12.16.18 Senior downing experts Natalie Ahern and Lisa Patterson, from All the Right Moves Boston, join us. 12.9.18 Delia DeMello offers insights and information about Social Security and Medicare. 12.2.18 Randy Veraguas, Sales Director at Atria Marina Bay, discusses downsizing and important factors to keep in mind when considering senior living options for yourself or a loved one. 11.18.18 Phyllis DeLaricheliere discusses her unique approach to caring for a loved one with Alzheimer’s with her “Inner Hippie” approach. 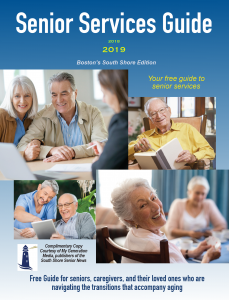 11.11.18 Mark Friedman, owner of Senior Helpers Boston and South Shore, discusses innovations in the field of senior home care that help us and our loved ones to successfully age in place. John Laine, Mark Bossey, and George Downey. 11.4.18 Guest panelists George Downey, CEO and founder of Harbor Mortgage Solutions, Inc., Braintree; Elder Law Attorney John Laine, owner of Laine & Associates, P.C., Hingham; and Mark Bossey, founding partner at Boston Premier Wealth, LLC, Hanover, discussed the importance of incorporating the often overlooked asset of housing wealth when planning for retirement. 10.28.18 Captain Brad White, founder of New England Burials at Sea, LLC, discusses the fascinating topic. Tim Quigley and Susan Griffin. 10.21.18 Susan Griffin and Tim Quigley, of South Shore Health System, discuss Ballot Question #1, which would institute government-mandated nurse staffing levels at all hospitals across the Commonwealth. 10.14.18 Brett Miller discusses his Rock Steady Program and how it’s helping those with Parkinson’s live a better quality of life. 10.7.18 Guest host Cindy Campbell, Communications Director for AARP Massachusetts, discussed consumer scams–how to spot them and how to stop them. 9.30.18 Learn about a new product that lowers cholesterol naturally, Cholesterade, from spokesperson and entertainer, Ron Adams. 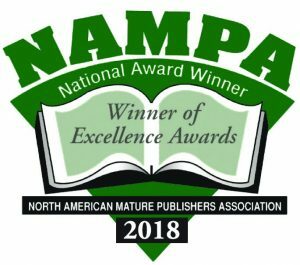 9.23.18 Local author, speaker, and consultant, Doreen A. Lang, discusses her book, Hang On To Your Stars, The first 90 days: A step-by-step employee engagement solution for the senior living community. 9.16.18 Local historian, Stephen M. Greenberg, discusses the fascinating history of Hull, and also relates his personal experience as a Senior Peace Corps Volunteer in Armenia. 9.9.18 Professional wine consultant, Missa Capozzo, shares her knowledge and enthusiasm for the wonderful world of wine. 8.26.18 Musicians Tom Hardey, Sherman Whipple, and John Goldie perform and discuss a new free event, Hull Porchfest. 8.19.18 Dr. Jennifer G. Mayer, audiologist and owner of South Shore Hearing Center, in South Weymouth, MA, talks about the many health and personal safety issues that untreated hearing loss contribute to as well as new technological advances in hearing aids. 8.5.18 Susan Griffin and Faye Weir discussed the implications of Question #1 that will appear on the ballot this November in Massachusetts. The question calls for the regulation of nurse staffing ratios. 7.29.18 Inge tells her personal and heartbreaking story of survival after being orphaned at age nine at the end of WWII while living in Eastern Europe with her family. Her story of her 15 years as one of the “Wolf Children” will move and inspire you. 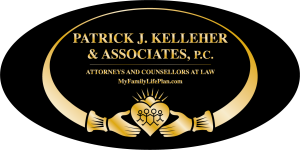 7.22.18 Elder Law Attorney, Patrick Kelleher, offers great advice when you’re thinking about estate planning and protecting your assets. 7.15.18 Local Author P.K. Norton discusses her second murder-mystery book, Dead Drop. 7.8.18 Holistic Health Coach, Christina Harrington, discusses the many benefits of hemp-based products–health without the high! 7.1.18 Brian Logan, Communications Manager for Plymouth 400, Inc., discusses all the exciting events and plans leading up to a year of celebration for 400th anniversary of the founding of Plymouth Colony in the year 2020. 6.24.18 Mystery writer P.K. Norton talks about her new novel, Dead Drop. 6.17.18 Loretta LaRoche and Kenny Wenzel join us for another fun and lively discussion on everything from Loretta’s upcoming stadium tour with Tony Robbins to dealing with stress. Enjoy! 6.10.18 Certified hypnotist and author, Cliff Aguirre was our guest. His book, Journey Back, the Amazing Memories of Individuals Through Past-Life Regression,details the experiences of 27 volunteers. During this show, Cliff shares three audio recordings from actual sessions with clients who traveled back in time. In the recordings, they describe fascinating experiences during the San Francisco earthquake of 1906, as a Bavarian soldier during WWII, and as a mother sheltering her children during the London Blitz in the early 1940s. 6.3.18 Cindy Campbell, Communications Director, AARP Massachusetts, and Mike Festa, State Director, AARP Massachusetts, shared new scams and how to avoid them, along with a legislative update and information about how Massachusetts towns are joining AARP’s Age Friendly States and Communities initiative. 5.20.18 Barbara Cannon, founder and owner of Answers for Elders, discusses how she and her team provide comprehensive Geriatric Care Management services to families and caregivers. 5.13.18 Loretta Laroche and Kenny Wenzel shared laughter and smooth jazz with us tonight. Enjoy this special Mother’s Day broadcast! 5.6.18 Michael Osacky, vintage sports memorabilia appraiser, lets us know about what’s hot and what’s not in the sports collecting field. Find out what your item might be worth! 4.29.18 Cora Fonner-Schrader and Rui Mendes, founders of CamCare, discuss their innovative program that offers an affordable means to Complementary Alternative Medicine coverage. 4.22.18 Anthony LaGreca and Beverly Buncher discuss the BALM approach to helping families dealing with the addiction of loved ones. 4.15.18 Kristen Arute discusses the serious and growing threat of elder financial abuse. 4/8/18 Expert panelists Rob Durante, COO, MedWell Health and Wellness; Cannabis Nurse, Beth Dost, RN; and Brandon Pollock, CEO, Theory Wellness, discuss medical marijuana. 3.25.18 Human Resources consultant, Denise Noble, discussed ageism in the workplace, why hiring older workers is good for business, and how to find employment in your 50s and beyond. Denis is founder of The HR Engineers. 3.18.18 Certified hypnotist and author, Cliff Aguirre, discusses his new online hypnosis stress workshop and fields listener calls who discuss their experiences with loved ones after they have passed. 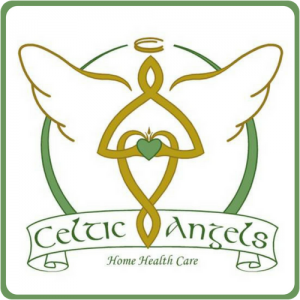 3.11.18 Listen to our conversation with Maria Burke, RN, owner of home health care agency, Celtic Angels. Learn about the state of home health care and what prompted Maria to open her own agency on Boston’s South Shore in 2005. 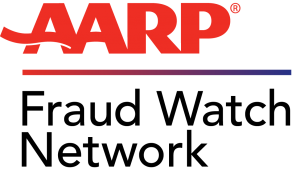 3.4.18 AARP Massachusetts State Director Mike Festa and Communications Director Cindy Campbell discuss Massachusetts’ new designation as an Age-Friendly State, as well as new consumer scams–how to spot them and stop them. 2.25.18 Kathy Jordan, registered dietitian, certified personal trainer and weight loss, eating behavior and fitness Coach, and author, discusses nutrition and fitness. 2.18.18 Laura Willis, owner of Encore Revolution, discusses encore careers and how to find your passion at any age. 2.11.18 Noted Attorney Tom Williams, host of Sound Advice, broadcast live every Saturday from 11:00 am-12:00 noon on 95.9 WATD, discusses estate planning essentials and fields questions from listeners. 1.21.18 Dr. Wayne L. Westcott, Professor of Exercise Science, Quincy College, advises on the best approach to starting and maintaining an exercise regimen in the New Year. 1.14.18 Cliff Aguirre, hypnotherapist, author, and songwriter, discusses past-life regression therapy. 1.7.18 Cindy Campbell, Communications Director for AARP Massachusetts, alerts us about scams–how to identify and avoid them. 12.17.17 Paragon Park historian Chris Haraden discusses the historic amusement park that flourished in Hull, Massachusetts, from 1905 until 1984. Learn more about the comprehensive book he is compiling on this beloved park here. 12.10.17 Local mystery author, PK Norton, discusses her new book, Sweet Dreams, Sweet Death, and the writing and publishing process including methodology, inspiration, the importance of writing groups, and the freedom of pursuing your dreams after retirement. 12.3.17 Learn the facts and myths about medical marijuana from Rob Durante, Director at MedWell Health and Wellness Centers. 11.26.17 Author and Health and happiness specialist, Debbie Lyn Toomey, RN, discusses her seven simple techniques to create your A.W.E.S.O.M.E. life. 11.19.17 Broadway veteran and faculty member at the South Shore Conservatory, Dianne Legro, discussed the South Shore Conservatory’s Adult Learning programs that reach every community on the South Shore as well as the class she is currently teaching in voice, The American Songbook. 11.12.17 Guests panelists George Downey, CEO and founder of Harbor Mortgage Solutions, Inc., Braintree; Elder Law Attorney John Laine, owner of Laine & Associates, P.C., Hingham; and Mark Bossey, founding partner at Boston Premier Wealth, LLC, Hanover, discussed the importance of incorporating the often overlooked asset of housing wealth when planning for retirement. 11.5.17 Guest Toby Haberkorn, author of the new book, Best Job Search Tips for Age 60-Plus: A Practical Work Options Resource for Baby Boomers, discussed age discrimination in the work place and offered practical advice to help with your job search. 10.29.17 Guest Jan Williams, owner and operator of Dead of Night Ghost Tours, Plymouth, MA, discusses all things paranormal in and around America’s Home Town–Plymouth, Massachusetts. 10.22.17 Guest David Noble, CEO of In Good Health, Inc., a Massachusetts medical marijuana dispensary, discusses the myths and realities of medical marijuana. 10.15.17 Guest Victoria Stevens, Executive Director for the Hull Lifesaving Museum, discusses the rich maritime history of the South Shore. 10.8.17 Guest Marie Fricker, author of All in My Head: How a Hypochondriac Beat Brain Cancer, shares her personal story with candor, humor and authenticity. 10.1.17 Guests Dan Roberts and Rana Goodman, publisher and political reporter for The Vegas Voice, discuss the shocking facts of elder abuse by court-appointed guardians. how to recognize and avoid new scams. They also interview AARP MA State Director Mike Festa and Director of Advocacy, Jessica Constantino. 9.17.17 Learn about the great Adult Learning Initiative and Coffee Break Concerts happening at the South Shore Conservatory from Anne Smith, their Director of Community Partnerships. 9.10.17 Learn the importance of nutrition and how to incorporate healthy choices into your diet with Andrea Luttrell, Registered Dietitian for Big Y. Check out their free nutritional seminars at your local store here. 9.3.17 Get yourself in tip-top shape with advice from Dr. Wayne Westcott, Professor of Exercise Science, Quincy College. 8.27.17 Boston’s original oldies band (JD, Billy & Ken) front man and Berklee Professor of Songwriting, Jon “JD” Aldrich joins for a great conversation and live music. 8.20.17 Knock, knock, it’s the Fuller Brush Man! Al Cohen discusses his 50 years as a door-to-door salesman for the iconic home products company. 8.13.17 Scam Alert! Cindy Campbell, Communications Director for AARP Massachusetts, informs us about the latest scams and how to avoid becoming a victim. 8.6.17 Plymouth 400 Executive Director Michele Pecoraro discusses exciting plans for 2020! 7.30.17 Luxury 55+ living at Fairing Way: Listen to our conversation with Phyllis DeLarichelier and Joan Reid. 7.23.17 Retirement advice: Listen to our conversation with Steve Anzuoni, owner of Fairway Financial and host of Ready, Set, Retire Radio. 7.16.17 Senior care considerations: Listen to our conversation with Mark Friedman, owner of Senior Helpers Boston and South Shore. 7.9.17 Retirement planning: Listen to our conversation with George Downey, CEO, Harbor Mortgage Solutions. 6.25.17 Listen to a preview of the first of a series of old-fashioned radio plays, Sorry, Wrong Number, with Anna Dunbar, Dianne Legro, and Eric Joseph. 6.18.17 Scam alert! Learn all about the latest methods scammers are using to defraud you out of your money. Cindy Campbell, Communications Director for AARP Massachusetts has lots of good advice. 6.11.17 Listen to our conversation with Julie Lovely, Executive Director, Wild Hearts Therapeutic Equestrian Program and Wild Hearts Horses for Heroes. 6.4.17 Listen to our show! We welcomed Chef Anthony Ambrose, owner of Blu Mussel Tavern, Cohasset, and Randy Veraguas, Community Sales Director at Atria Marina Place Senior Living, and Creative Producer: Dare to Downsize. Tuesday, May 23, 2017 Live coverage from the 25th Annual Senior Celebration, from the Shaw’s Center, Brockton. Listen to our interviews with show organizers, vendors and other participants. 5.21.17 Sound advice from Jennifer Mayer, Doctor of Audiology and Owner of South Shore Hearing Center, South Weymouth, MA. We discuss important issues concerning hearing loss, quality of life, and myths about hearing loss. 5.14.17 Tapping! Listen to our conversation with Rosemarie Lanchester, owner of Everything You Wish For. 5.7.17 Susan Sheehan, Executive Director at Windrose at Weymouth, discusses important issues surrounding memory support care. 4.23.17 Fraud Alert! Cindy Campbell, Communications Director for AARP Massachusetts, discusses identity fraud and scams. 4.9.17 JDMiller founder and owner of Home Care Partners. 4.2.17 Antiques! Peter Smith, owner of The Plymouth Exchange and host of the Antiques Air Show, on 95.9, WATD-FM. 3.26.17 Dave Austin, founder and owner of Lift & Care Systems, Inc.
3.19.17 Elder Law Attorney Robert Romano. 3.5.17 Kate and Lloyd Emery, author and promotor of the Muffy MacMouse children’s book series. 2.19.17 Joe Berkeley, Creative genius behind the “Roger that!” Super Bowl commercial feature Tom Brady, Joe Berkeley, LLC. 1.29.17 Dianne Legro, Professional singer and coach, award-winning soprano presents performances and workshops for seniors. 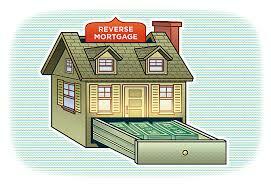 1.15.17 George Downey, President, Harbor Mortgage Solutions, discusses the pros and cons of reverse mortgages. 12.4.16 Carol Corio, Community Relations Liaison Old Colony Hospice and Palliative Care, and aromatherapy expert. 11.20.16 David Humphrey, Owner, Beacon Equity Advisorsh, how to get the best return on your investment when selling your business. 11.13.16 Melissa Weidman, Director of Community Relations and Outreach, Hope Health. Available options when caring for a loved one during a serious illness. 10.30.16 Hank Phillippi Ryan, Award-winning investigative reporter for Boston’s NBC affiliate and best selling author. 10.16.16 Neil Wood, Consultant, Owner, Neil Wood Consulting and key-note speaker, realtor and best-selling author. Our lively conversation is about online dating for the over 50 crowd. We also spoke with celebrity chef and owner of the Blu Mussel Tavern in Cohasset, Anthony Ambrose. 10.9.16 Jim Bunnell, Executive Director, The Talking Information Center. 10.2.16 Dr. Wayne Westcott, Quincy College. Many thanks to our guests and sponsors!